When compared to the old popup, the new one is much taller and slightly whiter/brighter in color. The microphone icon and the circle surrounding it have both gotten larger, and the circle's new fill of blue is a perfect match for the accent color introduced with the first-gen Pixels. That does unfortunately mean that the color no longer matches the turquoise accents seen on pre-8.1 Oreo phones, though. 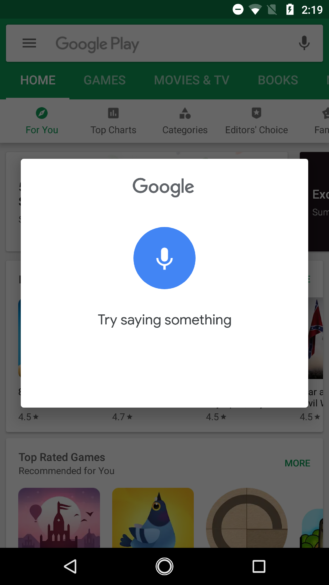 The 'Try saying something' is now in Product Sans, and it's swapped places with the Google logo. 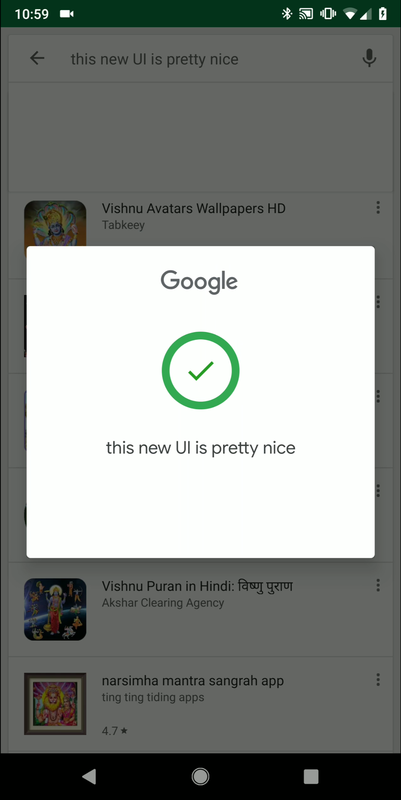 The results on the left are from the previous search, which registered my speech input as "Vishnu UI is pretty nice." 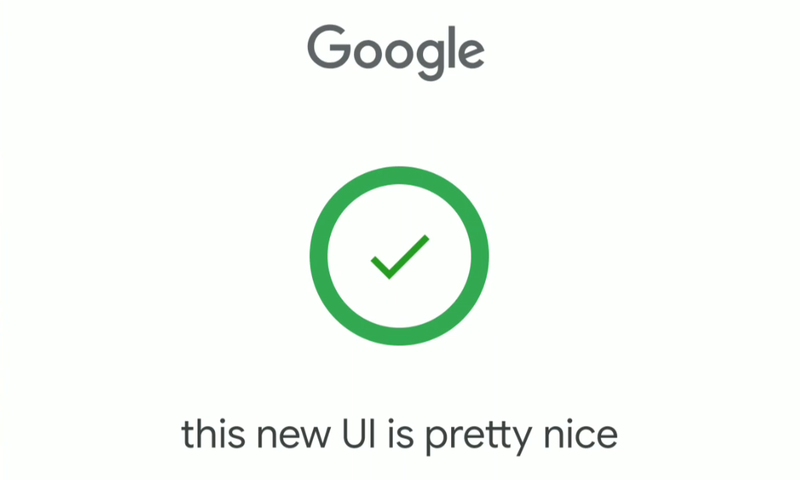 The new UI is also more functional. 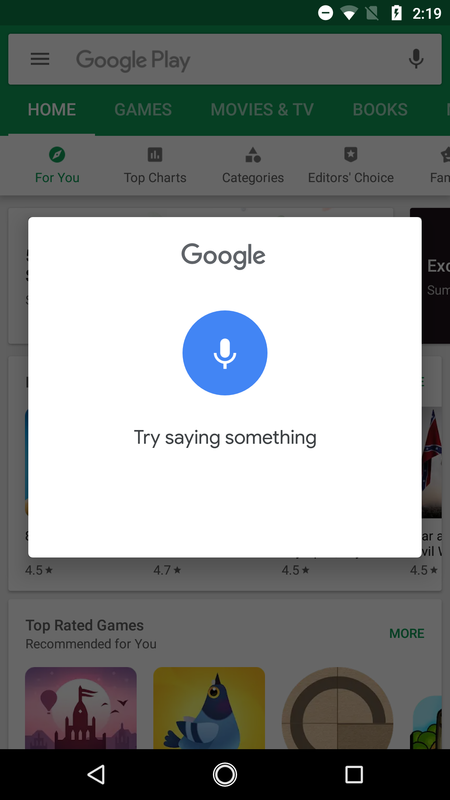 After you finish speaking, the popup will now show what (it thinks) you've said. The microphone icon also switches to a checkmark, which, along with the circle's border, turns green. But if your device wasn't able to pick up what you said, the circle's border will turn red, and a modernized 'Try again' button will appear. 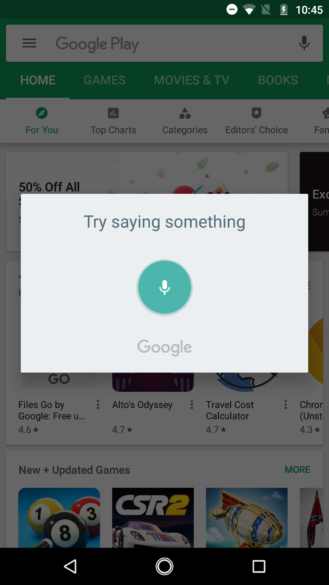 We're actually not 100% sure which app controls the speech input UI; it could be either the Google app or Google Play services. It was already on my Pixel 2 XL and Pixel XL when I checked, but it only appeared after I updated several apps (including the Google app) on my Moto G5S Plus, which had been sitting with 0% battery for weeks. This rollout doesn't appear to be super limited, as the new UI is appearing for quite a few people, but it hasn't hit everyone yet. 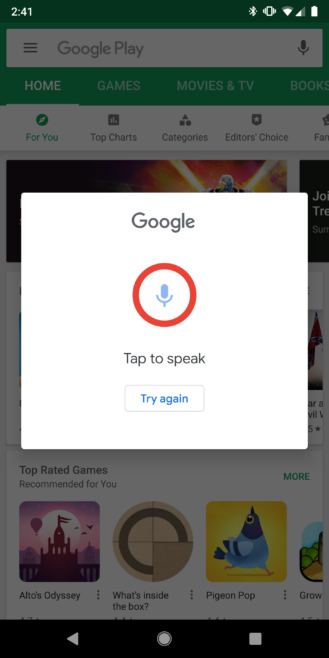 We're pretty pleased with this change; it's about time the speech input popup got a makeover.